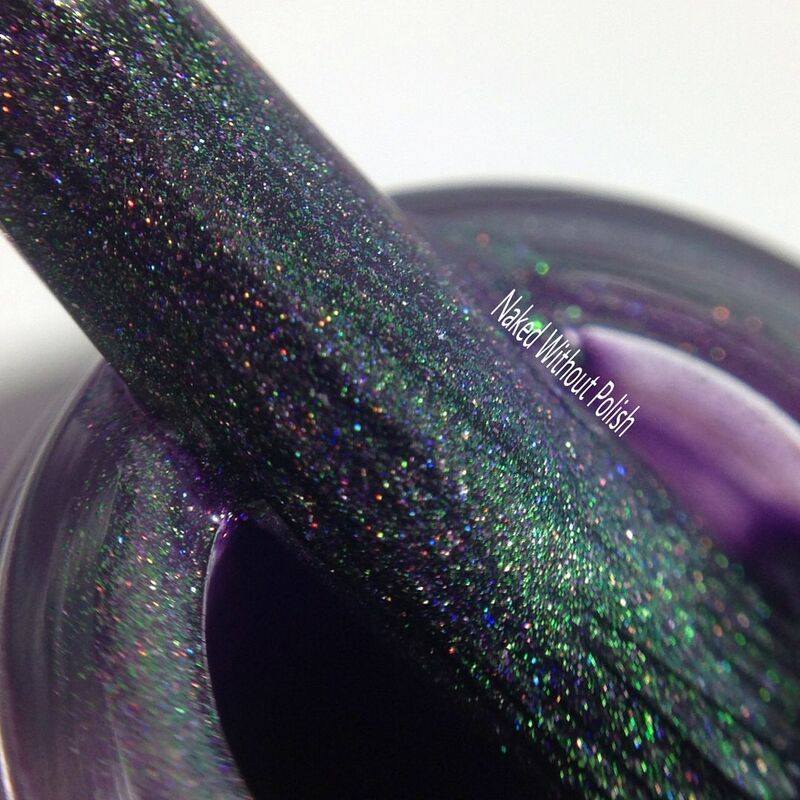 Today's post is full of mystery. 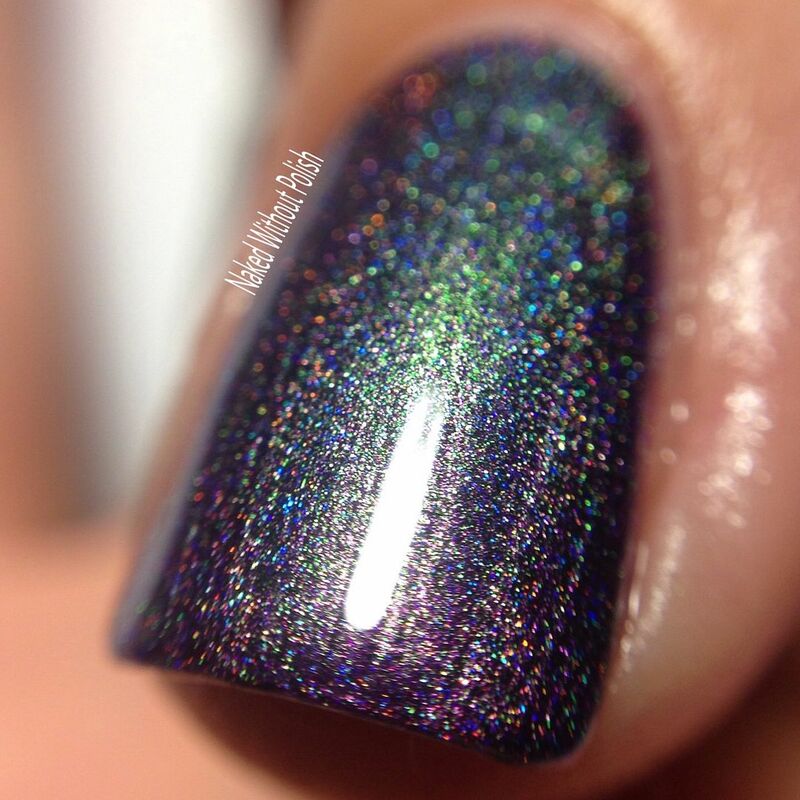 I have three polishes to show you all that are currently a part of the May 2017 Hella Holo Customs release. 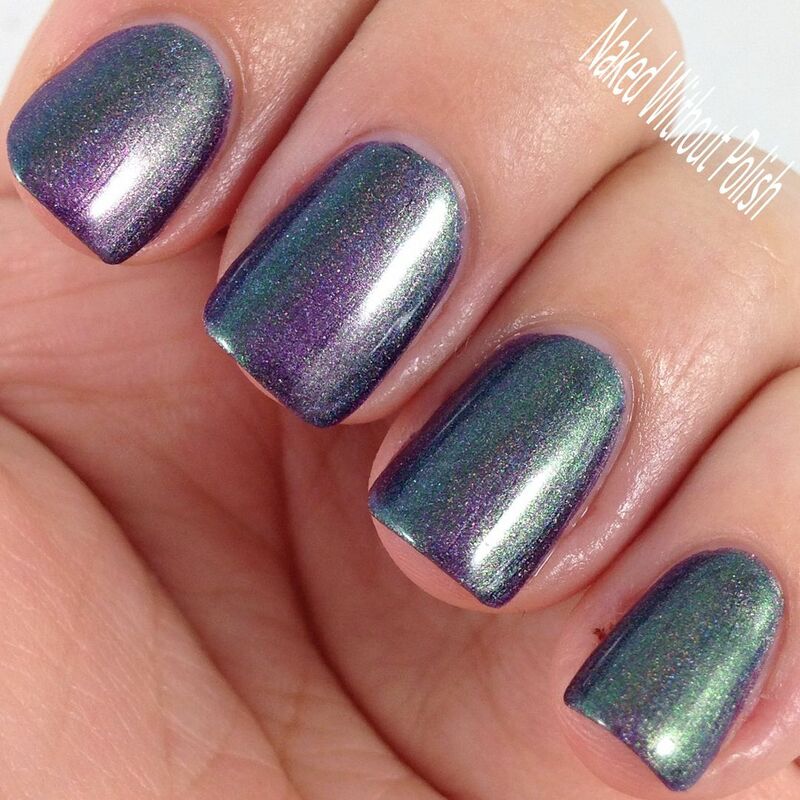 These are special polishes that you can only purchase if you're a member of the Facebook group, Hella Holo Customs. 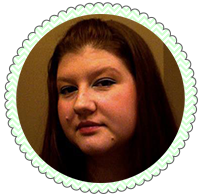 It's so super secret, so about all I can do is show you pictures and tell you where to join. 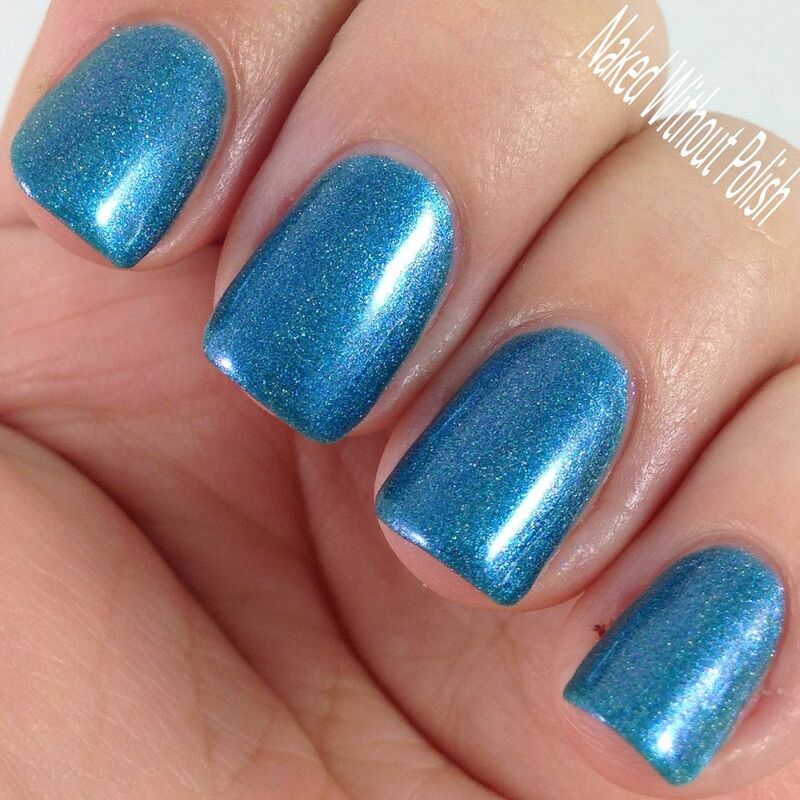 There are two brands being featured for the May 2017 release: Great Lakes Lacquer and Bluebird Lacquer. 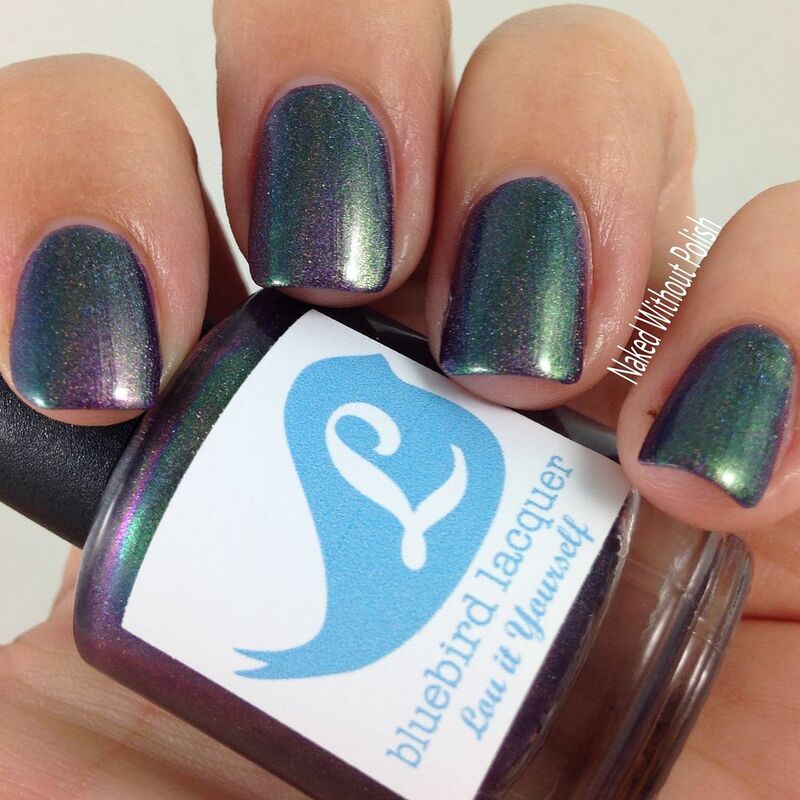 I've got the three pretties from Bluebird Lacquer to show you all today. You guys...these are pretty incredible. Keep reading to check them out! 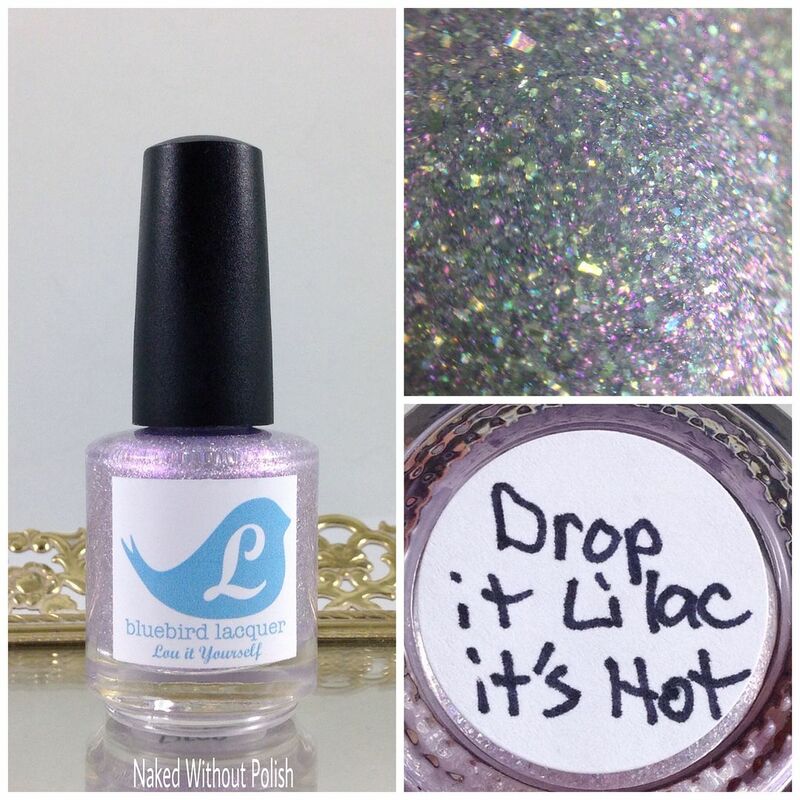 Drop it Lilac it's Hot is described as "a holo micro flakie with a lime flash and magenta shimmer". 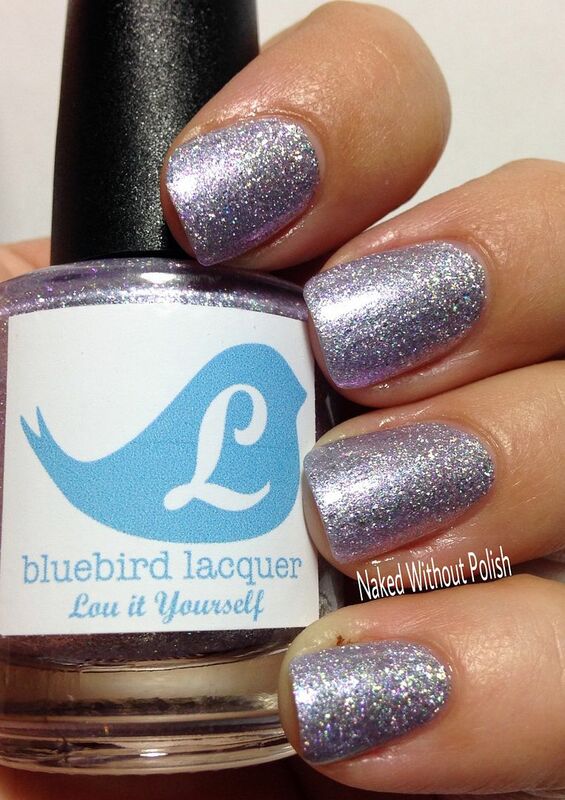 Shown is two coats of Drop it Lilac it's Hot with top coat. 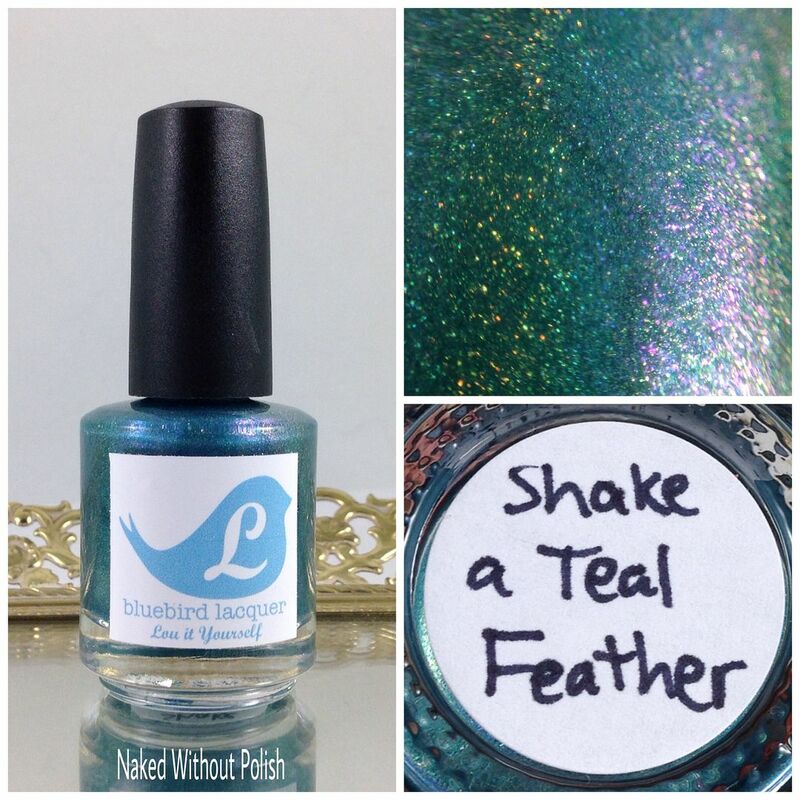 Shake a Teal Feather is described as "a blue leaning teal holo with a blue highlight and purple shift". 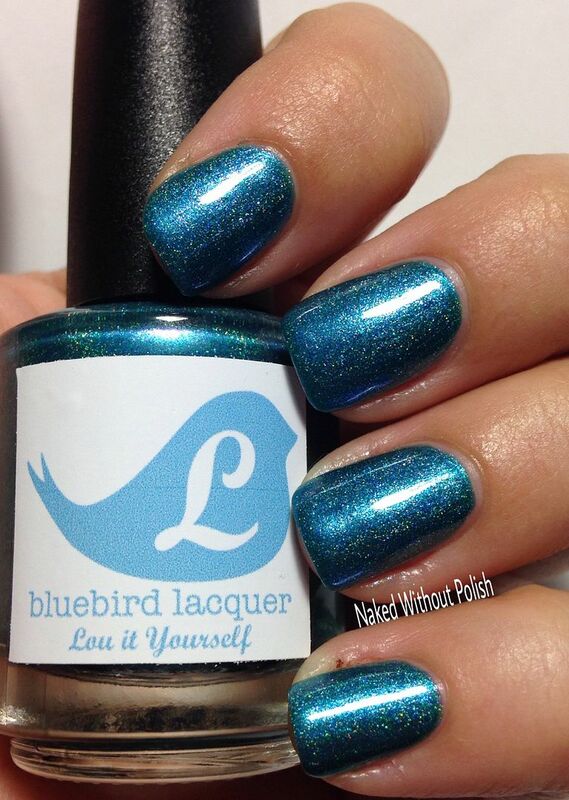 Shown is three coats of Shake a Teal Feather with top coat. 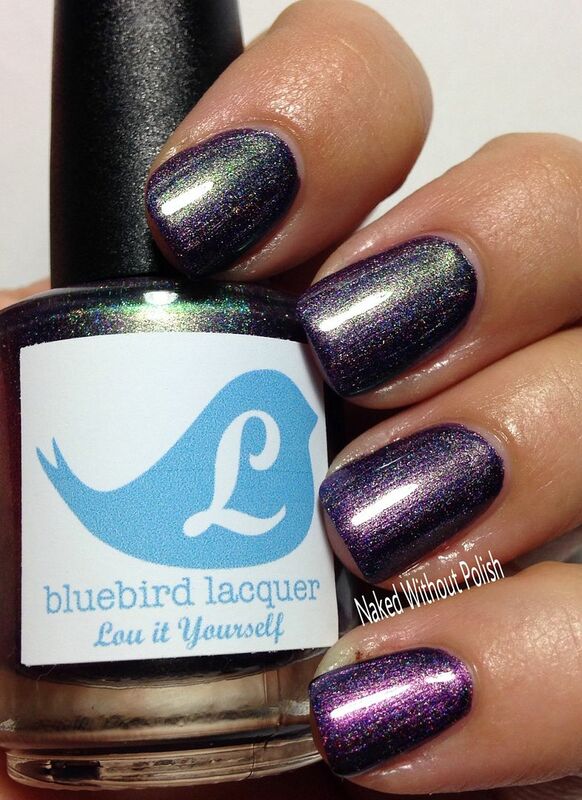 Peacock a Doodle Doo is described as "a blue-purple-green-magenta shifting multichrome holo with a violet base". 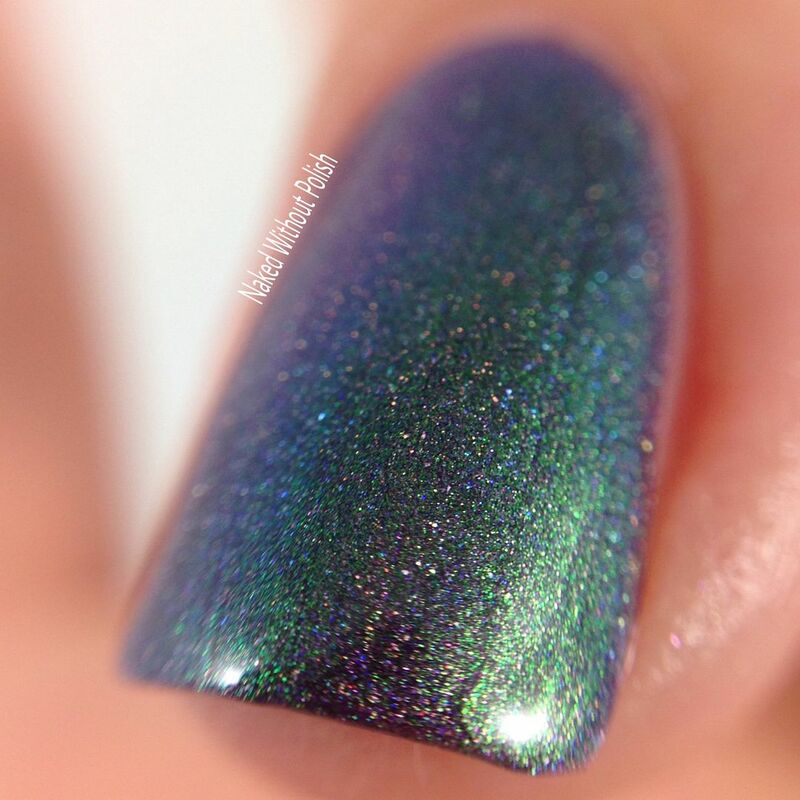 Shown is two coats of Peacock a Doodle Doo with top coat. There you have it! 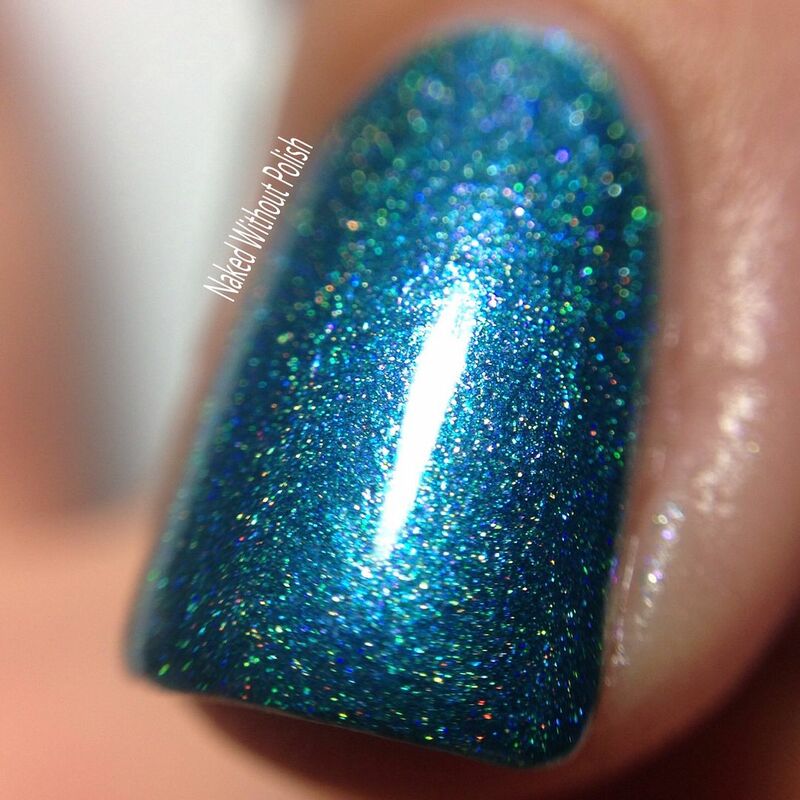 And if you think these are pretty...you should see the other three that Great Lakes Lacquer contributed. All six are absolutely incredible. 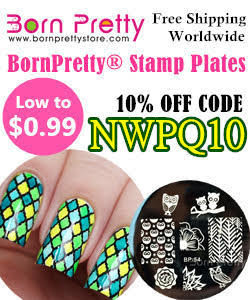 I may not have the other three to show you, but trust me on this! 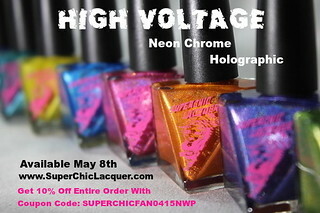 To find out all the details on how you can get these make sure you join Hella Holo Customs! Everything you need to know can be found once you join. 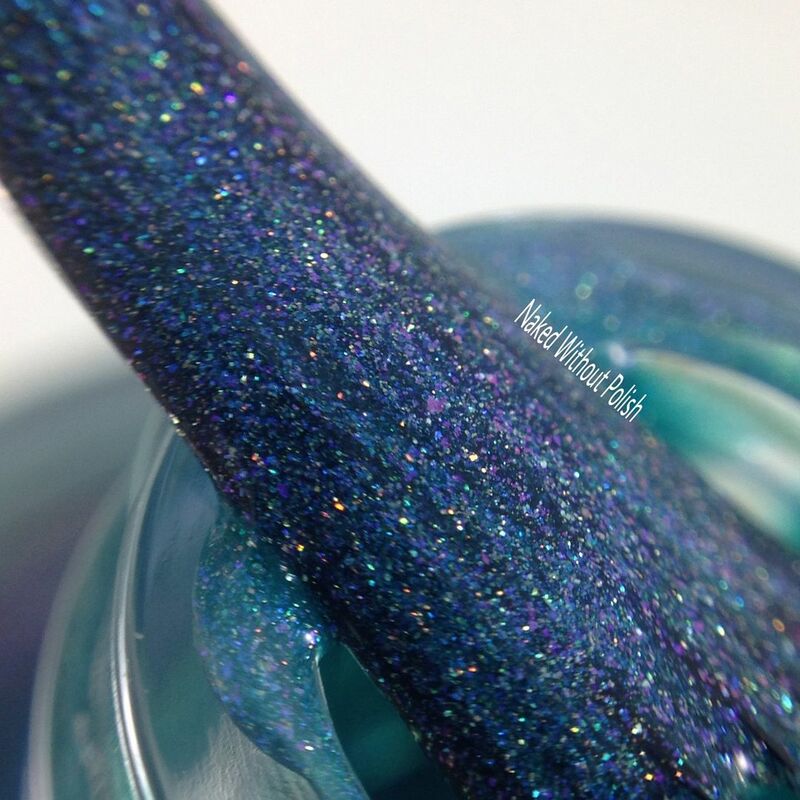 Don't forget to follow all of Hella Holo Customs' and Bluebird Lacquer's social media platforms (links below) to stay updated on news, releases, and sales. You all loving these as much as I do? 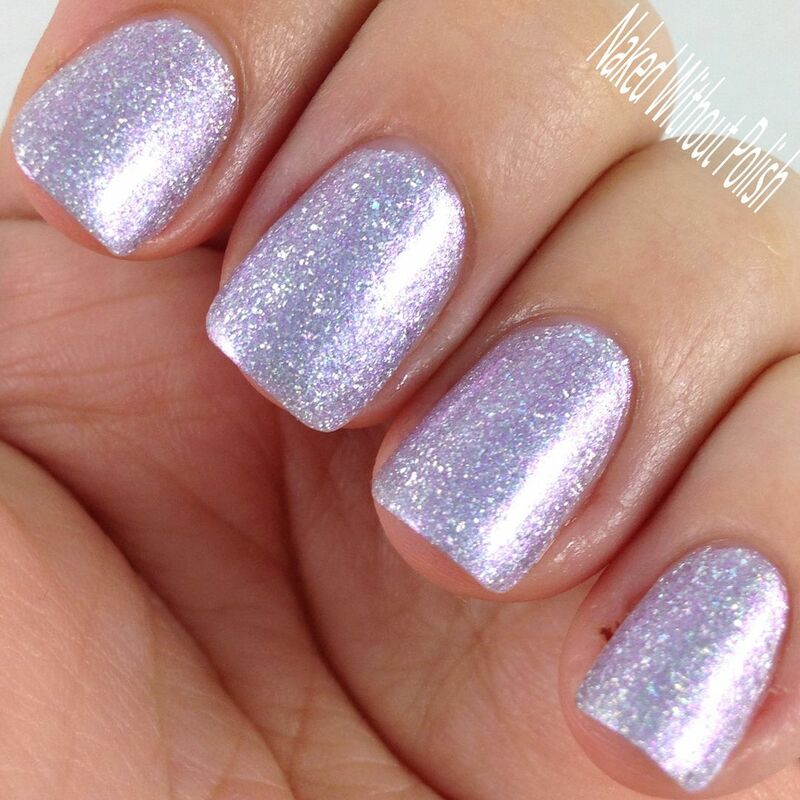 Seriously gorgeous polishes and incredible formulas. 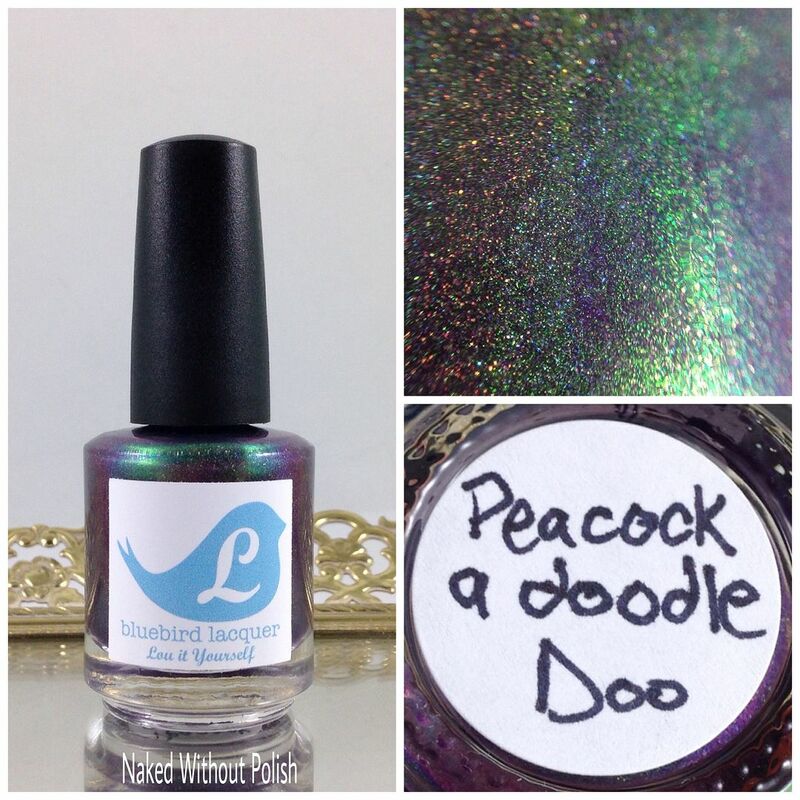 If I had to pick a favorite I might have to go with Peacock a Doodle Doo, but you can't go wrong with any of them. What do you all think?